I do a lot of naturally fermented vegetables on my menu. Because of health department regulations, I am doing this at home and then bringing them to work. I don’t feel good about this, and also my wife isn’t thrilled about it. Is there a way to do this legitimately? Fermenting foods is a trend that adds rich and complex flavor and can add excitement to a menu. In short, fermentation happens when microorganisms such as bacteria or yeast (or a combination) eat the carbohydrates in food, yielding alcohols, acids, carbon dioxide, and heat. Many of our most beloved traditional foods—bread, beer, wine, tea, chocolate, pickles, kimchi, soy sauce, cheese, yogurt and miso, to name a few—have undergone this process. The problem from a restaurant operations perspective is that, while fermentation can be done under refrigeration for certain products, it typically works most effectively at room temperature, in the heart of the danger zone, especially for vegetables. This is another example where health codes do not necessarily match practice. Fermentation, when done properly, is generally safe, because the lactic acid produced in the process is harmful to many pathogens. But health codes typically restrict the time at which potentially hazardous foods—including cut vegetables—can be held at room temperature. The New York City code in particular states, “Prior approval required for certain foods and processing. Approval by the Department of a food service establishment’s HACCP plan shall be obtained prior to processing any potentially hazardous food on the food establishment’s premises by means of reduced oxygen packaging methods, drying, fermentation, curing or smoking food products,” with an exception made for products that fall within the time and temperature guidelines. First, you should know that by serving the food you are fermenting at home, you are still violating the health code—you may just be less likely to be caught. Second, the answer to how to do this properly is to prepare an HACCP plan for those menu items and have it approved by the health department to get a variance. You can do this yourself or can hire a consultant. Unfortunately, it’s pricey and requires some outside expertise for most operators. Alternatively, you can source high-quality fermented vegetables from an approved third-party supplier, and since they will have already been fermented, you can keep them under refrigeration. Finally, my advice is to have an honest conversation with the health department to be proactive. 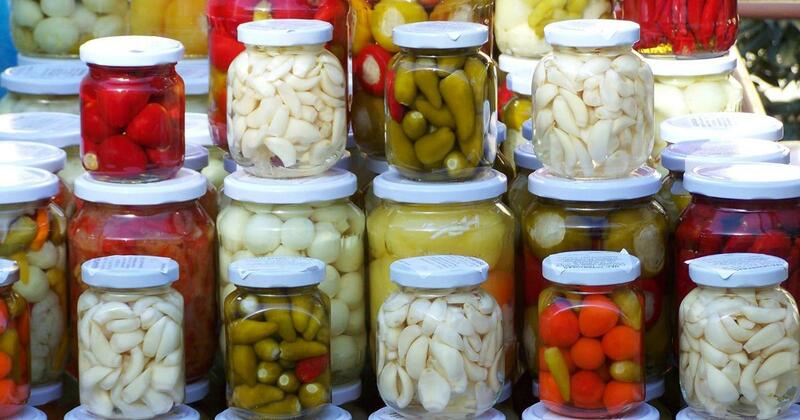 You are not the first chef to introduce fermentation to your restaurant. Ask for models or templates for how others got approval. By showing that you’re willing to play by the rules, they may respond encouragingly. More on fermenting vegetables in restaurants here.